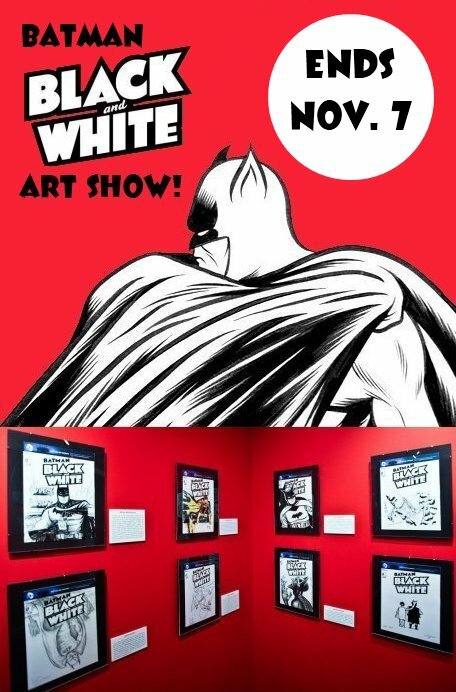 This post is just a friendly quick reminder that the BATMAN, BLACK AND WHITE: SKETCH COVERS Art Show is still happening at the Society of Illustrators Art Gallery in New York City and will run until November 7th, 2015. The show features over 80 pieces of original artwork from the collection of our good friend, CHIP KIDD. There are a TON of different artists featured in this event and the variety is amazing! Down below is a video they did of the opening reception and it will give you an idea of the incredible artwork presented there. For more details about the gallery, just CLICK HERE!